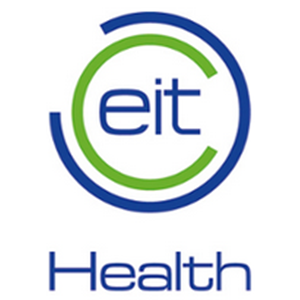 San Francisco, United States, 28 March 2019 – The European Institute of Innovation and Technology (EIT) opened the first Community Hub outside of Europe in Silicon Valley yesterday. Building on the existing Silicon Valley Hub of EIT Digital, the EIT Hub in San Francisco will support European innovators to attract US customers, partners and investors. It will also showcase innovation made in Europe and bolster the visibility of innovative European solutions to global challenges. Rene Arvin, Co-founder and Chief Commercial Officer of Omnibot, added: ‘This is precisely what scale-ups need: support and access to a network that opens doors throughout the growth stages. We’ve scaled, are ready to grow further globally and thrilled that EIT Digital and the EIT Hub in Silicon Valley will be there to support us on the next stage of our journey’. Pictures of the launch event in San Francisco can be found here. EIT BACKGROUND: Europe’s future is connected to its power to innovate! What challenges do the EIT’s Innovation Communities focus on? The first six Innovation Communities work to mitigate and adapt to climate change (EIT Climate-KIC), accelerate the digital transformation (EIT Digital), create sustainable sources of energy and increase its supply (EIT InnoEnergy), provide sustainable and healthier food (EIT Food), support healthier and longer living (EIT Health), and manage our planet’s raw materials in an efficient, secure and sustainable way (EIT RawMaterials). Together with their leading partners, they offer a wide range of innovation and entrepreneurship activities. This includes education courses that combine technical and entrepreneurial skills, business creation and acceleration services and innovation driven research projects. In December 2018, the EIT selected two new Innovation Communities in the areas of urban mobility and added value manufacturing.